UltraPlay has announced that its live betting model has been further extended to offer more exciting players’ experience for betting on their favorite eSports. 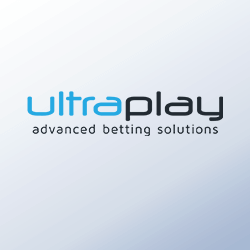 Having been known for its leading eSports betting role in the iGaming industry, UltraPlay has recreated the years of eSports experience and profound knowledge into its sophisticated live betting model, which will provide more markets for players to place bets on. Among the new markets are Decider Map Played, Correct Score, Map Advantage, which every player can choose from during the game and enjoy the enhanced live betting powered by UltraPlay. The wider markets provision on live betting gives a greater advantage to the operators trying to catch the interest of the savvy eSports punters. The upgraded live betting model already covers all major events from the three leading games – CS:GO, Dota 2, and League of Legends. So far the collected results show a positive effect on the customer satisfaction in terms of increased volume and interest towards the games. More markets and new game titles are expected to be added to the model throughout the year with the main focus of the game objectives and personal markets. 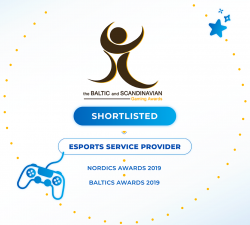 The new model is already available through the company’s match-predicting system Odds.gg, which serves to hundreds of leading iGaming operators across the globe entering or expanding their eSports betting coverage. Through ODDS.GG bookmakers use the rich portfolio of UltraPlay, consistent with 25 competitive game titles, 3000+ eSports events per month, 1500 in-play events as well as 50+ markets. UltraPlay aiming to repeat success from Global Tech Summit Technology Awards 2018.